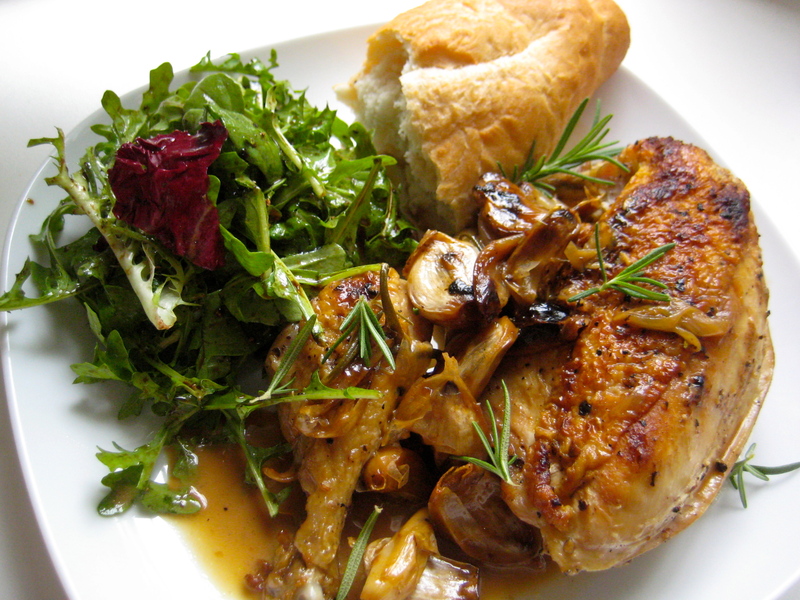 Chicken with Forty (yes, forty) Cloves of Garlic is one of my favorite cold weather dishes. A flavorful chicken braise like this is not a quick dish to put together, but it is a great kitchen project for a cold weather Sunday. This dish is also something of a miracle in the way it transforms ordinary, inexpensive ingredients into a meal with delicious, elegant flavors. Don’t let the forty cloves of garlic, which is quite literal, frighten you away. The slow-roasting and simmering process takes away the bitter bite of the garlic and leaves earthy richness in its place. I’ve chosen this dish as a “perfect pairing partner” for Viognier, but it could be a perfect partner for a number of wines. I know a lot of people would choose a rich, butter Chardonnay to pair with this dish, and I agree with that whole-heartedly. I also agree that it could pair equally well with unoaked Chardonnay, Riesling, Gewürztraminer, Sauvignon Blanc, or Fumé Blanc. It could fare well with Beaujolais, Pinot Noir, Champagne or Rosé. It’s a wine-loving dish if ever there was one. This recipe for Chicken with Forty Cloves of Garlic gets it delicious flavor from slow simmering, caramelization, and sauce reduction. While all this slow cooking is going on, the umami-rich chicken flavors blend with the earthiness and complexity of the herbs and garlic. It all adds up to a delicious dish! However, the reason I chose Viognier as the perfect pairing for this dish lies more in what the recipe does NOT include rather than what it does. 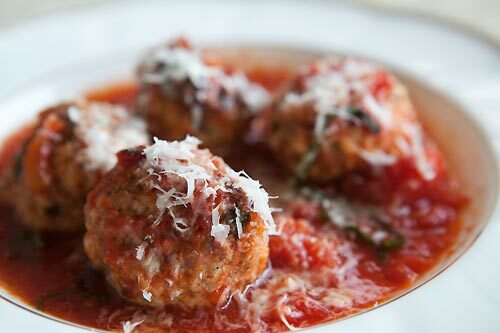 While many recipes use a squeeze of lemon, a dice of tomatoes or a splash of vinegar to add flavor complexity, this recipe does not have any acidity added at the end. We humans love the turbocharged flavor a dash of acidity brings to a dish, but it also diminishes our ability to taste the acidity in a wine. That’s one of the reasons why highly acidic white wines pair so well with seafood, salads, and Italian food! However, acidity in food can kill a wine like Viognier. A typical Viognier is a relatively low acid wine, so it’s generally not a good match for high acid food. When paired with a high acid dish like Salmon with fresh Lemon, Viognier can transform from a rich, round, and delightful wine into something that tastes rather flat and bitter. A dish like this with little or no acidity is Viognier’s chance to shine! For more ideas about food pairing partners for Viognier, check out my “Cheat Sheet for Viognier”. This dish takes a good deal of time and effort, so I like to make a big batch. This recipe will feed 6 hungry people, or you can feed four people and have some wonderful leftovers. Separate the cloves of garlic and drop them, unpeeled, into a pot of simmering water. Let simmer for 60 seconds, then cool them quickly by shocking them in ice water. Drain the garlic, pat dry and peel. The garlic skins should slip easily off. Pat the chicken pieces dry with paper towels. Liberally season both sides with salt and freshly ground black pepper. Heat the butter and olive oil over medium heat in a large skillet or dutch oven. If you don’t have such fancy implements, a small stock pot will do. Add the chicken pieces, in a single layer, skin side down, and saute until golden brown, at least 3 – 5 minutes on each side. You will need to do this in several batches, moving the browned chicken off to the side untill all the chicken has had its turn. Don’t worry that the chicken is not cooked through; it will cook to tenderness during the braise. When all the chicken is browned and removed, lower the heat. Add the peeled garlic to the pot and sauté the garlic, stirring continuously, for five minutes until the garlic is just golden. Don’t let the garlic burn or get too brown, as this can lead to bitterness. When the garlic is golden, keep it in the pot and add 1/2 cup of the chicken stock. Raise the heat and allow the mixture to come to a simmer while continuously scraping the bottom of the pan to remove the browned bits from the bottom of the pot. Add the remaining stock, the wine, and the dried thyme, and return the chicken to the pot. Allow the mixture to return to a boil, then turn the heat down low, cover the pot and simmer for 30 minutes. When ready to serve, remove the chicken to a platter. Cover it with aluminium foil to keep the chicken warm while you finish the sauce. In a small bowl, which together the 2 tablespoons flour and 2 tablespoons cool water. While whisking continuously, add 1/2 cup of the still-hot braising liquid to the bowl, then quickly whisk the mixture back into the pot. Whisk for 2 – 3 minutes while simmering, until the sauce begins to thicken. Finish the sauce by adding the cream and adjust the seasoning, if necessary. Pour the sauce and the garlic over the chicken, and enjoy. This makes a great dinner with either a simple vegetable dish or a salad. 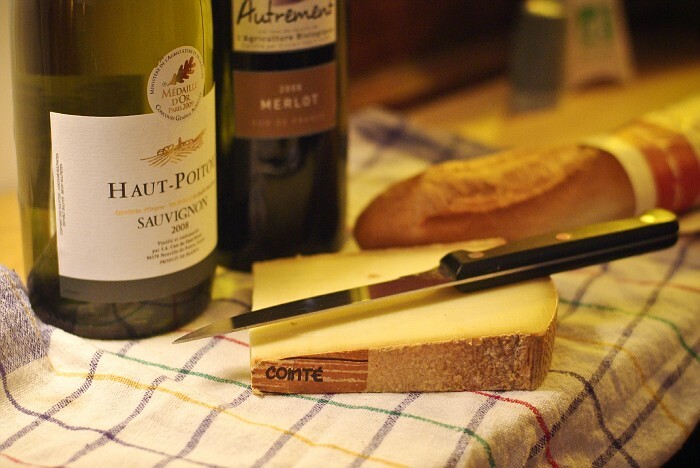 The most beloved culinary duo in the world is undoubtedly wine with cheese. 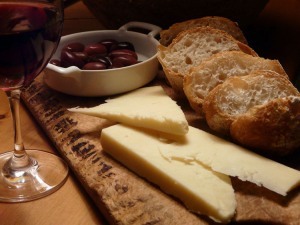 It’s easy to understand why: in most cases, wine and cheese bring out the best in each other! As you probably know, cheese is mostly fat and protein (sorry, dieters!!). 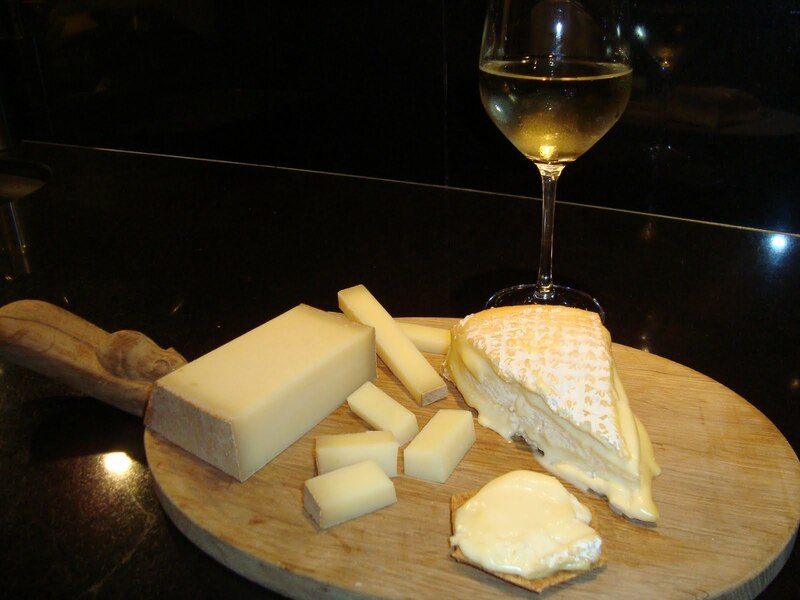 The fat content in cheese will smooth out the acid taste in any wine, making it seem smoother and rounder. The proteins as well as the fat in cheese smoothes out the tannins in wine, making wines taste velvety and soft. 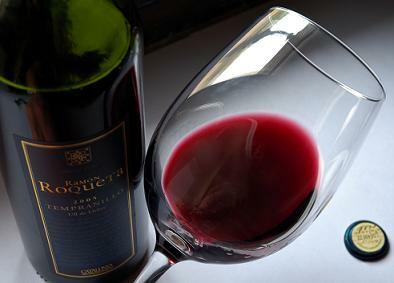 As for the wine, wine is mostly alcohol and water, with a multitude of tastes and flavors, including acids and tannin. 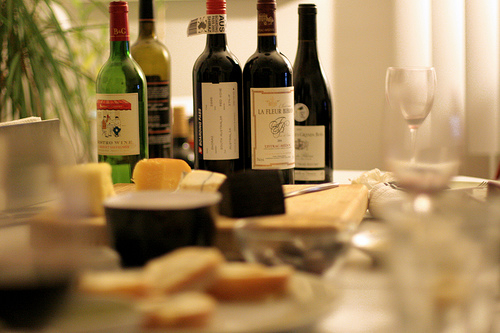 Acid and tannins cleanse your palate, bringing out the full flavor of the cheese. It’s a match made in heaven! 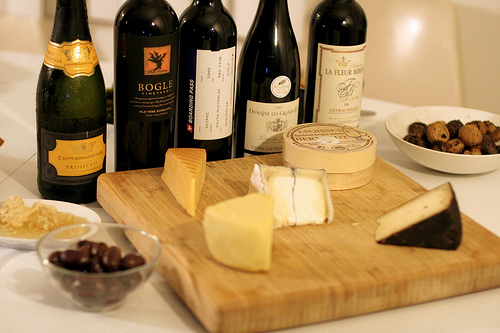 While wine and cheese are made for each other, there is such diversity in both worlds that some rules must apply. Follow these rules to ensure a perfect match! 1. Pair soft cheeses with high acid wines. Soft cheeses like Brie, Camembert, and Ricotta, remain soft by retaining most of their moisture, or whey. The curds are usually gathered, placed in molds, and left to age in humid atmospheres from a few days to a few weeks, and are most flavorful when eaten at room temperature. Softer cheeses coat the mouth and may block many of wine’s more subtle flavors. A high-acid wine will cut through the texture of soft cheeses, and makes a great combination. The Perfect Match for Soft Cheeses: High-acid White Wines such as Chardonnay, White Bordeaux, Sauvignon Blanc, Riesling, or Pinot Gris, Sparkling Wines, or High-Acid fruity reds such as Barbera, Pinot Noir, or Beaujolais. 2. Pair goat cheeses and brine cheeses with the highest acid white wine you can find! Goat Cheeses, such as Chevre, Montrachet, and Vacherin, often have a delicious, sharp, tangy flavor. Likewise, Brine cheeses, such as Feta, can have a sharp acidic flavor, as well as a salty taste. Both of these factors (salt and acid) call for a high-acid wine. The tang of the cheese will make a wine that is very high acid taste much smoother. This can bring a sharp wine into perfect balance, but by the same token can make a moderate or low-acid wine taste flat and flabby. Salt and acid is a great match, while salt and tannin can clash big time. This rule is a deal breaker…don’t break it! The Perfect Match for Goat Cheeses:Sauvignon Blanc, White Bordeaux, Riesling or other high-acid white wines. 3. Pair semi-firm cheeses with full-bodied whites or light-bodied reds. The category of Semi-firm cheeses includes Havarti, Monterey Jack, Muenster, and Gouda. These cheeses are aged for a short time in a damp environment, drying them slightly and leaving them with a mild, sometimes nutty, flavor. The mild flavors of these cheeses means there is little chance of a flavor clash, so semi-firm cheeses go well with many wines. A full-bodied, full-flavored white is a great match, cleansing the palate with its acidity and adding its own flavors to the mix. If you would like to pair these cheeses with a red wine, make it a fruity, light-bodied red so the wine does not overpower the flavor of the cheese. The Perfect Match for Semi-Firm Cheeses: Full bodied whites such as Chardonnay, some versions of Sauvignon Blanc, Viognier, Gewurztraminer, or Pinot Gris. The best red matches include Barbera, Dolcetto, Merlot, Beaujolais, or Pinot Noir. 4. Pair firm cheeses with fruity, full-bodied white wines. Firm cheeses include Swiss, Emmentaler, Gruyere, Manchego, and Jarlsberg. These cheeses are aged anywhere from2 to 18 months. Aging both reduces moisture content and increases the rich, nutty flavors so beloved in these cheeses. Usually, the most flavorful and sharp cheeses are aged the longest. These cheeses, because of their sharp, strong flavor, pair well with white wines with fruity, even sweet flavors, and fuller-bodied wines. These cheeses will make red wines taste very smooth and velvety, but the flavor of a red wine will overpower the nutty or smoky flavors of the cheese. The Perfect Match for Firm Cheeses: Pinot Gris, Pinot Grigio, Fume Blanc, Chardonnay, Pinot Blanc, Albarino, White Rioja, White Bordeaux, Alsatian Whites…any full bodied white is worth a try! 5. Pair Cheddar Cheeses with rich red wines. A cheese originally from Great Britain, Cheddar is now made all over the world. In the U.S., three general types of Cheddar are produced — Mild Cheddar, usually aged one to three months; Medium Cheddar, generally aged for three to six months; and Aged Cheddar, typically aged six months or more. Cheddar is one of the most popular table cheeses in the world, and is used for a wide range of purposes. Cheddar’s distinctive flavor pairs wonderfully with rich red wines. If your rich red wine has fruit flavors, spicy flavors, and soft tannins, so much the better! The Perfect Match for Cheddar Cheeses: Merlot, Cabernet Sauvignon, Zinfandel, RedBordeaux,Rhone Reds, Cabernet Franc, Malbec, or Shiraz. 6. Pair Colby Cheese with fruity red wines. Named after Colby Wisconsin, the town of its origin, Colby is now primarily made inNew Zealand. This moist cheese lacks the sharpness of cheddar and needs a milder companion. 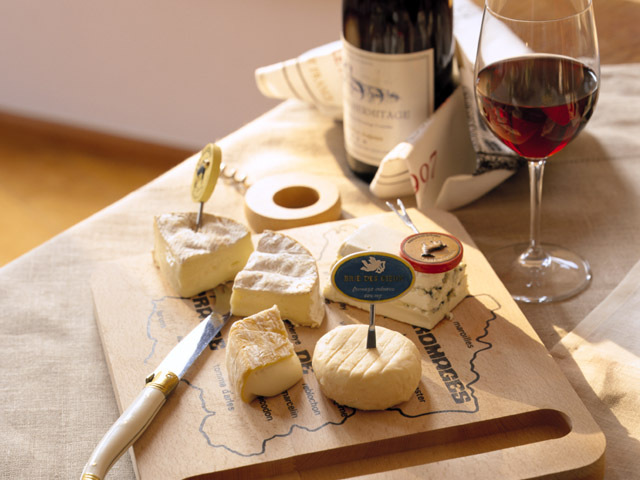 The Perfect Match for Colby Cheeses: Fruity Reds such as Barbera, Dolcetto,Beaujolais or Pinot Noir. 7. Pair Provolone or Mozzarella with full-flavored reds. Provolone and Mozzarella are supple and pliable with a great “toothsome” texture. The flavor of both is mild, nutty, and delicate, yet they can stand up to full-flavored red wines. These cheeses for a great basis for a cheese and red wine match, especially if one wants the wine to shine. The cheese’s firm texture allows it to stand up to the tannin and acidity of a red wine, while its delicate flavors will allow the flavors of the wine to stand out. The Perfect Match for Mozzarella and Provolone: Chianti, Sangiovese, Zinfandel, Merlot, Syrah, Tempranillo, Red Rioja, Red Bordeaux, Rhone Reds, or Cabernet Franc. 8. For a surprisingly good match, pair extra firm cheeses like Parmesan and Romano with crisp white wines. Extra Firm Cheeses like Parmesan and Romano have the least residual moisture of any fresh cheese. A couple days after they are placed into molds, they are salted in brine, and left to mature for 2 to 7 years. Not coincidentally, extra firm cheeses have a sharp, salty flavor. 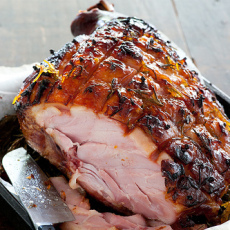 For a surprising treat, pair salty, crumbly Parmesan or Romano with a high acid white wine. Make it a sparkling Prosecco and feel the fireworks go off in your mouth! This style of pairing perks up the flavor of the cheese and accentuates the salty “grano” in extra firm cheeses. The Perfect White Wine Match for Parmesan and Romano: Prosecco! You will love it! Also try any fruity, acidic white wine. Italy makes lots of them, such as Fiano, Gavi, Trebbiano, Orvieto, Vernaccia, Vermentino, and Soave…they would all be great! 9. Try the traditional match and pair extra firm cheeses like Parmesan and Romano with robust red wines. As long as you watch the tannin level, a full-flavored red wine is a great match for the full flavor and heavy texture of Parmesan and Romano Cheeses. The firm fats and protein in the cheese will smooth out any rough edges, and you will have a classic, heart-warming taste combination. The Perfect Red Wine Match for Parmesan and Romano: Chianti, Sangiovese, Valpolicella, Barbaresco, and any other medium to full bodied, full-flavored red wine from Italy. For a cross-cultural match, try Zinfandel, Merlot, Cabernet, or Shiraz. The Perfect Sweet Wine Match for Blue Cheeses: Sweet, full-flavored wines such as Sauternes, Ruby Port, Sweet Muscats, Vintage Port, or Late Harvest Zinfandel. 11. On a night when full-bodied, full-flavored wrestling is on the menu, pair Roquefort, Stilton, or other Blue Cheeses with fruity, spicy, red Wines. 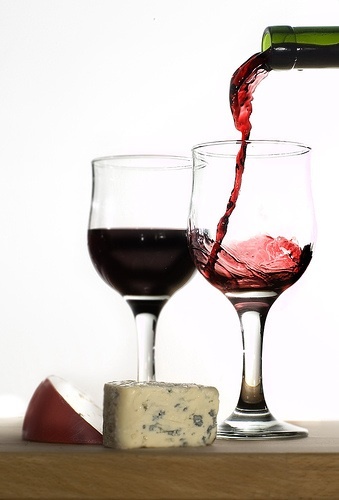 This seems to make a little more sense…and blue cheeses have a wonderful flavor affinity for fruity red wines. The fruit flavor of the wine is a counterpoint to the pungency of the cheese, and earthy flavors abound! For an added layer of pairing pleasure, throw some walnuts into the mix. 12. Match flavors. Now things can start to get really interesting. Be sure and abide by the rules above, but within the guidelines, pick a flavor in your cheese such as nutty, earthy, herbal, creamy, or smoky, and match it with a flavor in your wine. This is known as a “flavor bridge” and it can be amazing! In order for this to really work, you have to do some serious tasting…going by generalities just won’t cut it. So, taste that cheese, and open a few bottles of wine. Find a pair that matches in flavor, and prepare to be amazed! 13. A Word of Caution: Beware of Bitter. Some of my favorite cheeses, such as Stilton, Roquefort, and Gorgonzola, have a slight “undertaste” of bitterness to them. This slight bitter taste makes a wonderful platform for an otherwise complex flavor profile…think of the bitter hit in espresso or the taste or field greens. Bitterness, however, is a unique topic in food and wine pairing. 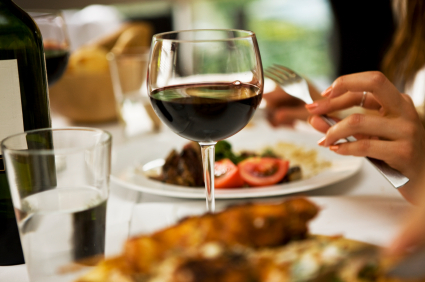 While most tastes (such as sweetness or acidity) in food and wine cancel each other out to a certain extent, bitter tastes in food and wine can emphasize each other, sometimes to detrimental effect. If your cheese has a bit of bitter, make sure the wine you serve has little or no bitterness. Wine generally gets bitter tastes from high levels of alcohol, oak, or tannin. This factor will vary widely even among wines of the same grape and same region, so, unless the wine is known for this quality (such as Amarone), you will have to open a bottle to judge a wine’s bitterness. The Perfect Match for Cheese with Bitter Tastes: Keep it low alcohol, low oak, and low tannin. Go for sweet or very fruity wines. 14. Another Word of Caution: Salt and Tannin can clash. One of the things that makes cheese so delightful is its saltiness, which lend a palate punch to anything it touches. However, in some cases, salt in food can clash with tannin in wine, making a weird, metallic taste. The fat content in cheese keeps this problem to a minimum, but it does happen sometimes. If you are ever combining a rich, salty cheese with a red wine and something tastes kind of bitter, metallic, or just plain scary, it just might be the war of the salts and the tannins. Switch to a lower-tannin wine, and all will be saved. The Perfect Match for Salty Cheeses: Keep it low tannin! Any red wine has the potential to clash with salty cheeses, so make sure the tannins in your red wines are delicate, smooth, or mature. 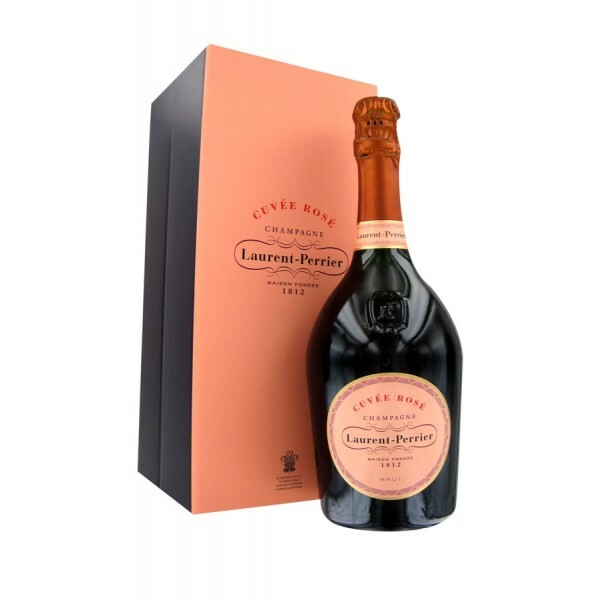 Open up that bottle and have a taste…it’s the only way to really tell. Forget everything you think you know about food and wine pairing! Whatever you’ve heard, forget it! I’m sorry to be the one to tell you this, but food and wine pairing have nothing to do with wine color, pairing to proteins, or “matching or contrasting” flavors. The truth of the matter is this: food and wine pair up, and pair up successfully or disastrously, based on three components: tastes, flavors, and textures. Learn the principles behind these truths and you will become an instant food and wine genius! Who can resist that? Tastes include sweet, salt, acid (sour), bitter, and umami (certain types of protein). Due to their importance in food-and-wine meet-ups, fat/oil, and tannin are often included in this component category..
A taste component, as you should have learned in elementary school, is something that can be perceived using just your tongue, or your taste bud? Time to dust off that memory! I also include tannin and fat/oil in this category, as many scientists believe they are actually tastes, and they have such a profound impact on a food and wine pairing. The truth is this: if a wine, or a dish, is sweet, salty, acidic, bitter, or contains a lot of mouth-coating oil or tongue-drying tannin, that fact is likely to have a big impact on its behavior in a food-and-wine match. Taste Components are almost always the most important factor to consider in a food and wine pairing. 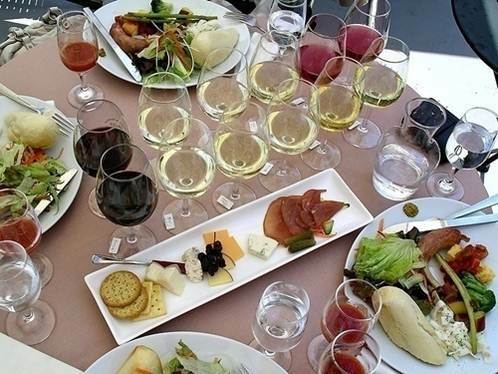 Specific tastes in food will change the way you perceive specific tastes in wine. These changes are predictable and consistent, and are outlined in my “few simple rules” chart – to be posted in the near future. Flavors….fruity, floral, herbal, earthy, nutty, oaky, meaty…the list goes on! Flavors are sensed as a combination of taste, aroma, and texture. Please don’t confuse flavor with taste! Cherry is a flavor, sweet is a taste (repeat after me!). Flavors in food and wine are not that big of a deal when it comes to a successful match. Flavors are very forgiving…they can be successful in either the “match” or the “contrast” mode. But never, ever, attempt to pair to flavors until you have dealt with the tastes! Flavors can be matched to highlight the flavor, such as herbal wine with herbal food. This is called a “bridge flavor” and can make for a very successful match. Or, flavors can be contrasted to make a meal balanced and interesting. For instance, we can cool down a spicy food by pairing it with a fruity wine. Textures are discerned using the tactile sense of touch. Textures should usually (although not always…) be matched. 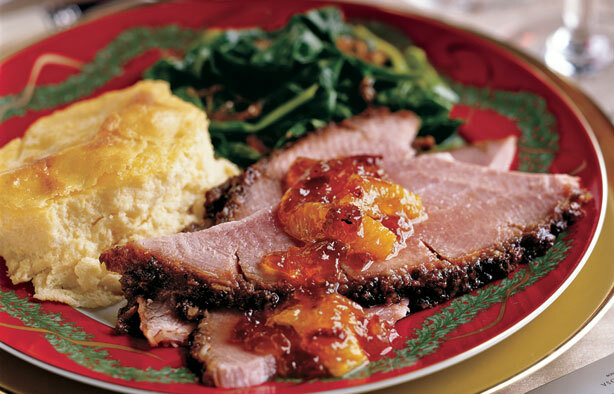 In other words, serve light bodied food with light bodied wine, and rich food with rich, full-bodied wine. However, there are some exceptions…if you want one part of the meal (that is, the food or the wine) to really shine, you can mix textures in what I like to call “the wind beneath my wings” effect. Textures are generally best matched rich for rich or light on light, however exceptions can be interesting. So….that’s just the beginning. You are two more posts away from being a wine and food genius!